bitpuf is a free platform for sharing content--images, videos, files, and text--simply, instantly, and securely. With auto-erase, just let your content expire. For professional or personal use, content shared on bitpuf is fully encrypted, deleted automatically, with no tracking, personal profiles, or archiving. Forget to include a document? No problem, just add or remove anything you want. Revisions are reflected instantly. 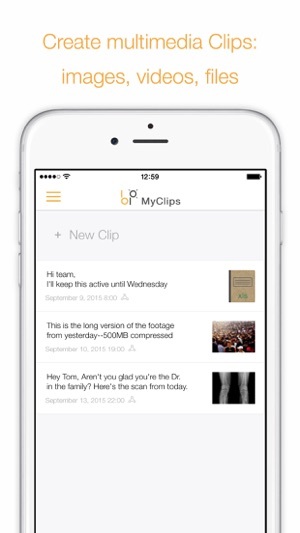 • Share confidential information securely--signed documents, images, videos, and text. Delivered user-to-user, directly within the app, everything is encrypted, secure, and authenticated. • Exchange documents simply, no matter their size. No need to send passwords or exchange files through unsecured email. 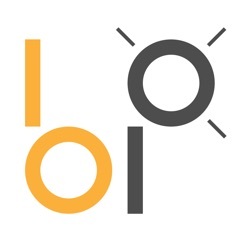 • Control your content’s audience and lifespan. 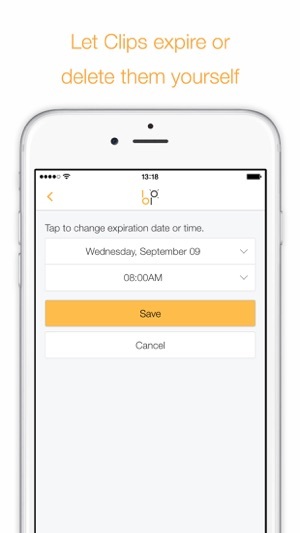 Auto-expiration and notifications make it simple. Share content that is time-sensitive, short-term, or confidential. • Organize, collaborate, share work in progress. Keep all your documents and media files on a single Clip, displayed in a gallery-style layout--no fussing with versions. • Transfer files between your devices. 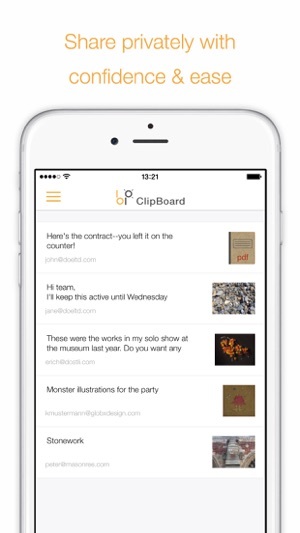 Share your content, keep it off the record, let it expire…bitpuf it! It’s like a blackboard that reflects changes instantaneously and erases itself when you tell it to. 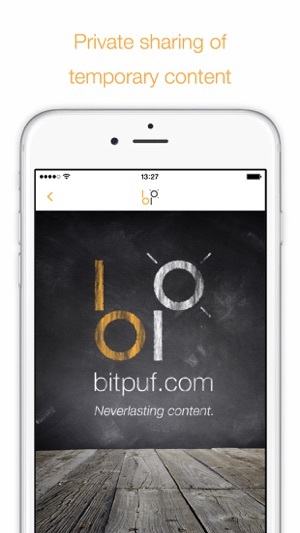 To learn more about using bitpuf, visit our Help and FAQ pages, available in nine languages. I have used this app for sharing videos with my family all over the world. They can easily stream the videos without having to download. It expires after a week and I don't need to worry about storage and how much space I have left. It's so nice to be able to share photos with my friends without giving the whole world access. And I don't have to worry about going back to delete anything later. This app is awesome! The app is great! Easy to use and perfect for sharing with friends and family in a not-so-public way.